Oh my god, I cannot believe you made it, thank you so much ! Is this http://gelbooru.com/index.php?page=post&s=view&id=2935329 a bannable avatar ? hey, was wondering if i could advertise for a group in the raffle description? Hey there. I wanted to ask if you could update the "Scripts and Addons" thread on the forums. Don't know if anyone even looks there, but might as well keep it updated. So yeah, since userscripts.org is dead, I made a page for my scripts there: http://sk8erofbodom.com/tf2rscripts/ (like Ghost Pepper did long ago) I also have a new script (to schedule raffles). I'd be grateful if you (or another mod of course) could update that. Also, great job changing the links to userscripts-mirror.org. You told me to change my pic. 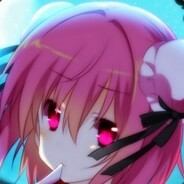 Is there any way to change it on here without changing it on my steam profile? Look its something green! oh. . just a comment from a rider. why is my name not gold in chat? Congrats on becoming moderator Zsaberslash! yo add me you won a key . Miko wears headphones and you should too.